We share the passion for creation and the passion for action. Therefore, with the same level of zeal and enthusiasm, we organize special cycling events for you. Our team can help you experience an amazing adventure with your friends, or create an exclusive tailor made activity with your company. As a nature lover, I wanted to create an object which will be my association to wind as a natural phenomenon in any space. Not only that, but also all positive energies that would not exist without the wind, namely those moments associated with skiing, sailing, mountaineering, mountain biking. We are developing the line of apparel which will complement our portfolio of fine goods. More information will be available soon. Please, visit again or get in touch with us. DVOIKA was born from the synergy of two - passion and engineering, experience and innovation, tradition and modern, natural and high-tech. The personal essences of our beings and the wisdom of our team are built into each and every piece that comes out of our workshop. Thoughtfully designed and carefully crafted, these pieces represent art forms of their own. Together they make a beautiful composition formed of our core values – the honest approach in smart design and the intransigent quality of superb craftsmanship. For DVOIKA team, quality always comes first. It is unquestionable, never compromised. Starting with the search for the perfect piece of wood to the final testing of every part of our products, quality remains our main focus. All phases of production are equally important, carefully executed and supervised by dedicated members of our team. The commitment and passion we all share, along with personal qualities of each individual, are imprinted in every single piece we make. 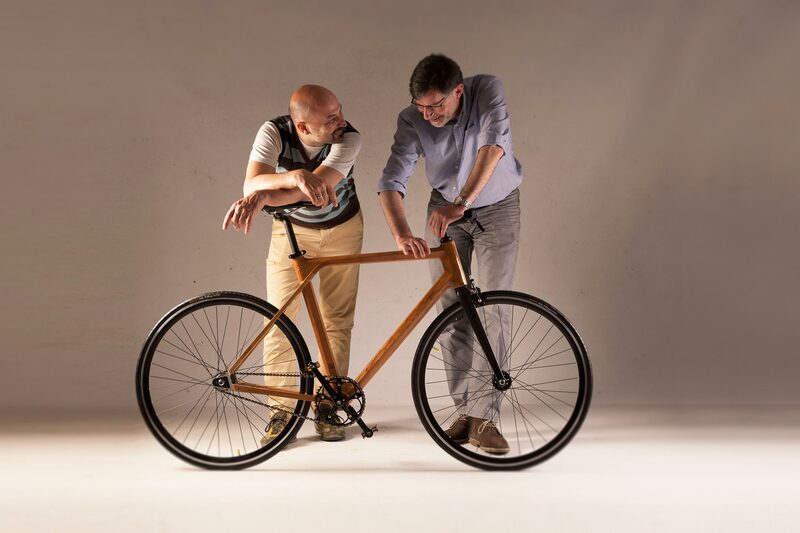 Only few things can be compared with the amazing feeling of riding our wooden bicycles. We would say the feeling of ultimate freedom and the true joy of life. DVOIKA bicycles are very comfortable to ride as they go smoothly, elegantly and above all reliably. The high-level of vibration absorption brings cycling experience to a whole new level, along with the absence of noise of metal cracking. 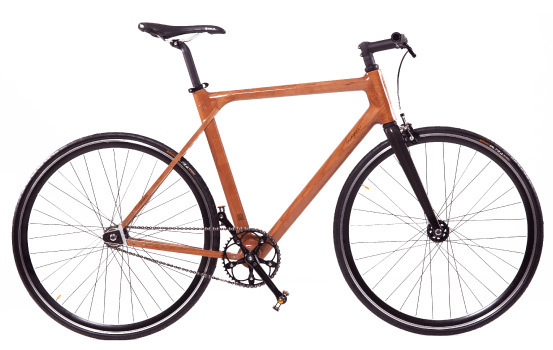 Whether if it is just a city ride or off-road adventure, wooden bicycles do make a difference. We are in constant quest for improvement in materials we choose, techniques and technologies we use, knowledge and skills in engineering, inspiration and breakthroughs in design, but also the way we communicate our products. Wood is a natural choice as we all share the fascination with woodcrafting and the use of wood as beautiful and exciting construction material, especially in the areas where it is rarely expected. We believe it leaves a lot of room for innovation like vibration absorption, sound or noise minimization, durability and many other aspects. Even more it opens opportunities for endless customizations and unique creations. Raw materials are handpicked and carefully inspected. Only those which meet the highest quality standards can end up in the final products. 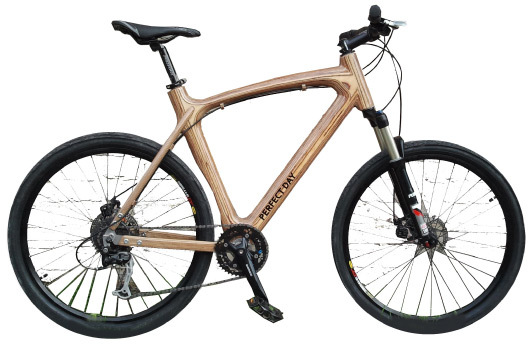 The combination of wood and quality composite materials provides high-strength frames with excellent vibration absorption. The monocoque construction of chosen wood type is CNC manufactured first and then carefully handcrafted. It is reinforced with glass fiber and epoxy, and coated with several layer of polyurethane varnish. But, the true beauty of our bicycles lies in the infinite possibilities of choices. DVOIKA manufacturing is unique combination of modern technologies and various techniques of old crafts, empowered through synergy of diverse personalities, talents and skills of the team members and their families and friends. The approach is based on our personal need to redefined craftsmanship by interrelating industrial design, 3D product development, CNC manufacturing and old fashioned handcrafting. Furthermore, our wish is to involve the customer in the process of creating and manufacturing to the extent that he or she wishes to engage. The customization potential is extraordinary and the excellence is guaranteed. In a life as we know, it can be truly challenging to realize the right time and the right place when the stars align and opportunities present for accomplishing one’s dreams. We are grateful for being fortunate enough to form our team under these ideal circumstances. DVOIKA represents the group of friends, inspired engineers, designers and other professionals, who make beautiful long-lasting objects. We are influenced by nature and its secrets. One of us is in love with the sea, another one loves the air and the winds, the third is into mountains and hidden off-roads, the fourth is an adventurer, the fifth is a traveler. There are more of us and we are all dreamers, determined to create. We are also the masters of our crafts. We use technology wisely, know the materials well and never lack ideas.